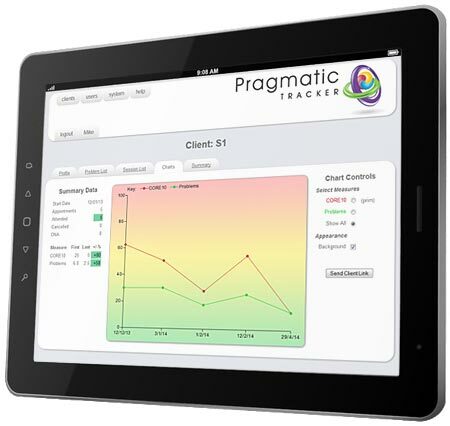 Pragmatic Tracker is an online application for tracking the progress of psychiatric patients through assessment, treatment and follow up and can be used by both the practitioner and the patient. We took great care to create an intuitive user interface and to ensure that frequently used features are easy to reach. A practitioner can use the entire app from patient setup, thru data entry to charting, analysis and reporting, while a dedicated, clean and simple data entry page means that patients can enter data themselves in response to an email invitation. Once collected the patient responses are available immediately to the practitioner who can use them to guide subsequent treatment sessions. Collation of patient data from a number of practitioners can help a practice manage the case-load and work-flow of its practitioners and assess their performance too. A portal website allows potential users to try before they buy and to run a single user system on a subscription basis (Software As A Service). The same portal also provides on-line help for all installations. You can find out more about Pragmatic Tracker at www.pragmatictracker.com. 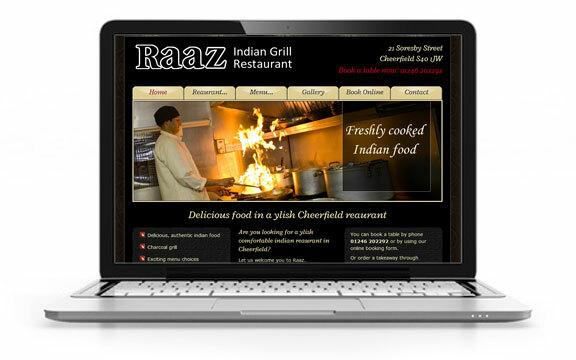 At the other end of the scale is a simple on-line booking system for an Indian restaurant. The data from the form is emailed to the restaurant and the staff can then phone for confirmation and payment. For a minimal outlay over a standard brochure website the restaurant has on-line booking! Panpage was born after a search for a light-weight, low-cost content management system for small business websites failed to turn up anything remotely exciting. Sure there are some very comprehensive and competent CMSs out there but they tend to be complete over-kill for small business sites. 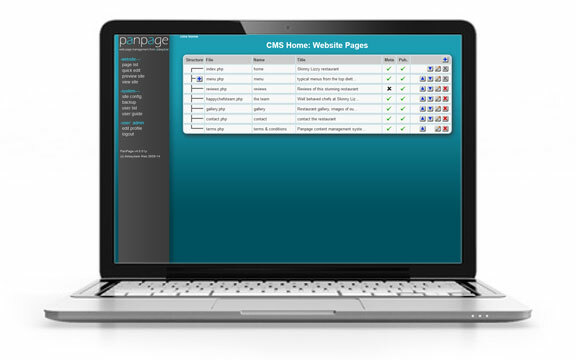 Panpage is completely page based so it's easy to find things, search engine friendly right out of the box and compatible with all standard 'webmaster tools'. It also provides a visual editing system that lets you mouse around your website while anything you can edit lights up under the mouse. Click and the item opens up in the editor right there and then - no searching for 'articles' or 'friendly URLs'! Developed over a number of years, Panpage supports, plain ole 'fixed' text and images, folding items for FAQs and summarised content, image slide-shows and embedded content from social sites. The latest version supports HTML5 and responsive design for tablet and phone compatibility. Find out more about Panpage at www.panpage.com.